World War One was a tragedy that affected millions of people from all walks of life. 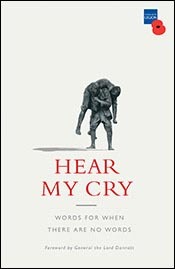 As your school reflects on the centenary of the end of the war, Hear My Cry provides a great resource for reflection, with individuals' stories, readings and Psalms. Two assemblies and four lesson plans to help your students to reflect on the themes of sanctity of life, sanctuary, sacrifice and reconciliation against the background of 1914-18. Nine sessions, each with an assembly and follow up activities for FS2/KS1 and KS2. Here you can download his incomplete translation, taken from the mud-spattered copybook that he kept with him. The eBook is available in two file formats, ePub for iOS devices and mobi for Kindle devices.